A French pianist who claims he’s never done a day’s work in his life is set for a return performance at the North Wales International Music Festival later this month. 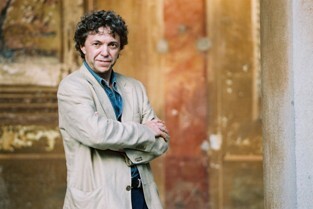 Pascal Rogé, one of the greatest interpreters of French piano music, will play pieces by composers including Faure and Dubussy during a concert at St Asaph Cathedral at 7.30pm on Tuesday, September 25th. However, Rogé, the world’s leading French repertoire pianist, says being a concert musician cannot be classed as work in the normal sense of the word. The festival, founded by royal composer Professor William Mathias, is celebrating its 40th anniversary this year. Other highlights at the festival include the BBC National Orchestra of Wales, superstar cellist Julian Lloyd Webber, the King’s Singers, baroque quartet Red Priest and the critically-acclaimed Chilingirian Quartet. The day after the concert Pascal Rogé will be conducting a masterclass for talented young musicians from North Wales.